Dawn breaks over Lake Powell in Utah. This will be a shortish post (for me!). I wanted to post a few pictures from the shores of Lake Powell, near Page, Arizona. But first I want to let you know (since I haven’t in awhile) that these photos are copyrighted material. If you click on one you’ll be taken to the website for MJF Images, where they will be appearing in finished form very soon. These versions are really too small for you to put them to good use. When you get to the website, browse the images and, if you like, you may purchase with a single click: downloads, prints, framed, canvas, whatever you wish. Please contact me if you have any questions or just want to order one of the images from a recent blog. I’ll get it out to you right away. Thanks for your cooperation and interest. Lake Powell and the graveled part of Lone Rock Beach reflect a colorful dawn sky. This is the first time I’ve ever been to this summer playground in the desert. People flock here to ply the waters of Lake Powell, the reservoir behind the damn dam that has drowned Glen Canyon for decades now. And to think they named it after the man who journeyed through Glen Canyon when it was at its raw best, and who loved the canyons for their naked beauty. Renting a house boat is very popular, as is drinking and soaking up the sun. But it is November now, with chilly mornings and wonderful days. Only a few tourists around, but it is not at all near deserted. And this is especially true this weekend, the first in November, when the annual hot air balloon festival takes place. Dozens of hot air balloons launch at dawn, and the town is all abuzz. The area around Page, Arizona and Glen Canyon Dam is peppered with small sandstone buttes, which are fossil sand dunes. It clouded up late yesterday afternoon, but the sunset was only okay considering. I camped at the shores of Lake Powell at Lone Rock Beach to take advantage of what I thought might be a nice sunrise because of the cloudiness. I could have instead shot balloons at dawn, but there is so much photography of hot air balloons. I know what you’re thinking…there is no shortage of colorful sunrise pictures consisting of water and sky. But give me a break. The days have cloudless and rather boring (for photography) for the past couple weeks. So I did not want to waste the opportunity. A lone hot air balloon floats beyond the golf course in Page, Arizona during its annual balloon festival. This is a great time to visit the area, being cool and uncrowded. The middle of October might be even better, for fall colors. But there are precious few aspens or cottonwoods in the area. The balloon festival is certainly not a bad time to visit. You might want to make reservations if you plan on staying in a hotel. There are other events going on over the weekend. It is a small town, and when things go on in towns this size, you know it. People are in a great mood. Lone Rock in Lake Powell, Utah stands high in late fall’s low water. The big question I have for myself is whether to go on to the north rim of Grand Canyon today, or hang around and tour Antelope Canyon. If you don’t know, Antelope Canyon is that slot canyon you see so much of in photographs. The red sculpted walls that arch over forming a roof, and often with a shaft of sunlight streaming in from above. Well, I am certainly in to that sort of photograph. But this is one of the most over-photographed subjects in the Southwest, so I am more than hesitant. I may try instead to get similar shots in a different slot canyon to the north, in the Escalante River region. But then again, if you see Antelope Canyon shots in my next post, you’ll know I caved and did the tour. It is on Navajo land and costs $25-40 to take the tour. Well, enjoy the photos and take care everyone. Happy fall (it’s still fall, right?) and don’t forget to set your clocks back one hour tomorrow night. A lonely Lone Rock beach on Lake Powell in Utah greets an early November dawn. The balloon festival at Page as viewed from the Glen Canyon Dam. Lake Powell along the Utah/Arizona border glories in sunrise. Continuing southward through Central America, I entered a country I had high expectations for: Nicaragua. I crossed in from Honduras and soon took a sharp left to the northern highlands, aka coffee heaven. Day’s end saw me in Matagalpa, which looks and reads like a city in guidebook maps and descriptions, but is really just a large town. The white-washed church in the town center is quite photogenic (image below). The town is a busy one, being market central for an enormous swath of the country, and it has a nice mix of culture and modest tourist amenities. But one needs to keep going north to get into the heart of the highlands. By the way, clicking any of these images takes you to my website, where download rights or prints may be purchased. The versions on this blog are too small for most anything, but if you are interested in any of them, and you can’t find them on my website, just contact me. The images are copyrighted. Thanks so much for your cooperation, and interest! The beautiful highlands of northern Nicaragua, on the huge coffee finca of Selva Negra. I headed to Selva Negra, an old coffee estate not too far north of Matagalpa. The journey up there put me in mind of some of my rides in Asia – taking in the air on top of the bus instead of in the crammed interior. Selva Negra was originally started by Germans and is still at least part owned by their descendants. You occasionally see the (lucky) old farts walking around the place. The countryside here reminded them of the Black Forest at home, thus the name Selva Negra. The lake at Selva Negra, with its bordering cloud forest, greets guests on their way to an excellent cup of fresh coffee. They have a sort of rustic resort up there on the shores of a beautiful man-made lake surrounded by cloud forest (image above). There are rooms, cabins and a dormitory, along with a nice indoor/outdoor restaurant. The food comes straight from the farm and is delicious. The coffee, of course, is stellar. There is a beautiful old stone church. Nights are cool and days very comfortable up here. The farm is huge and includes open ranch-type land along with acres of coffee. There is also a school and an employee village set in idyllic surroundings. Hiking trails take off into the beautiful cloud forest and horses are also available. I took part in both of these activities over the three days I was there. I stayed in one of the dorms only steps from the lake and, as I expected, had it to myself. It was the type of climate and terrain I dream of living in, riding horses every day and eating fresh organic veggies, eggs and beef direct from the source. One of the best parts about it was strolling down through the shady lanes leading to the employee village and goofing around with the kids making their way home from school. What a paradise! The streets of Leon, Nicaragua, are lined with colorful old colonial buildings. I went on to Leon, and was yanked back to the often grim reality of traveling in the Isthmus. The bus rides, though cheap, often have you wishing that death would come quickly. In Leon, a proper city, there are loads of young people. It is Nicaragua’s college town, with several universities. The beautiful young girls walking the streets can drive a man to distraction! Yet there are other beautiful sights as well. The cathedrals and other Spanish colonial architecture had me slipping to my travel and street photographer persona. Later I would visit Granada, Nica’s main town for colonial architecture (images below). The architecture there smacks you in the face, and it’s impeccably restored. I prefer to hunt around the narrow streets for treasures, and where it doesn’t feel so much like some sort of set that’s maintained for tourists. In Granada, that takes getting away from the main square and its tourists; Leon is more of a working (or studying) kind of town. The Munincipal Theater in Leon, Nicaragua employs very interesting colonial architecture. The backstreets of Granada, Nicaragua. I spent a few days on the gorgeous Lago Apoyo, which is, like most lakes in this area, a volcanic caldera now filled with clear blue water. The lake is bordered by beautiful forest, and is near to the active volcano Masaya. This part of the Americas is one of the most active segments of the so-called Pacific Ring of Fire (a line of volcanoes and earthquake faults encircling the Pacific Ocean). The forest comes right down to the lake, and despite there being only a dirt track accessing the shore, there are several nice places to stay. I spent $75 for two nights with meals, which is not all that cheap for Nica. But for a room on that beautiful lake, swimming and relaxing in hammocks? I’ll take it. A golden-mantled howler (Alouatta palliata palliata) inhabits the trees near Lake Nicaragua. Tearing myself away from the perfect swimming, I hiked up through the forest and got remarkably close to a troop of howler monkeys (see image). You hear them all the time in Central America, but rarely get close enough for a good picture. Along with a great Swedish couple I met, I visited Volcan Masaya on a taxi tour. This volcano breathes, and it was a powerful experience being so close to its steaming crater. There is also a very cool cave to explore, with friendly bats! The last image is of living Masaya, the sun setting behind it. Next up: Omotepe, Lake Nicaragua, and the jungles of the Rio San Juan. Masaya volcano in Nicaragua remains active and is accessible by hiking trail. 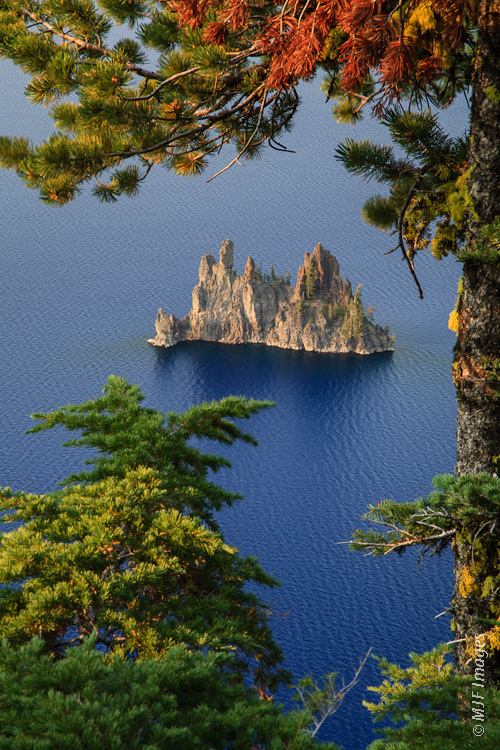 I wanted to revisit my visit to Crater Lake National Park recently. I spent quite a bit of time up at night, testing out my new camera mount. It tracks the apparent movement of the stars. I am still getting the hang of it, but the first results are promising. I am certain I will figure out ways to use it so as to get even better starscapes, and can foresee using it for moon, eclipse and other types of shots. It is called a Vixen Polarie. I actually entered the park at night, after getting caught up photographing a really cool waterfall I’ve never been to near Diamond Lake. It’s called Toketee Falls, and it spills in such a beautiful way over a columnar basalt flow. But I digress. I entered the park from the north entrance, which is closed most of the year because of snow. This evening was warm though as I motored my bike up the highway and right past the entrance gate. I did pay later, not because I thought I had to, but because I wanted to. National Parks are virtually starved of funds by Congress, and they need every penny they can get. Our home galaxy, the Milky Way, arcs over Crater Lake in southern Oregon. Upon reaching the lake I stopped right away, at a large overlook near Llao Rock. I worked my way out onto a promontory over the lake, getting a nice tree in the foreground which happened to be angled in the same manner as the Milky Way cut across the sky (image above). This is a composite of two shots. The tracking mount follows the stars as they appear to move across the sky. Of course it is the Earth that is doing the moving, rotating so fast (700+ miles/hr. at mid-latitudes) that you’d think it would make us all dizzy. This means that any foreground you include on long exposures will be blurred, while the stars remain sharp. So you have to take another shot with the tracking mount turned off, just so you can later combine the starry sky part with the foreground part. I did this in Photoshop Elements later. 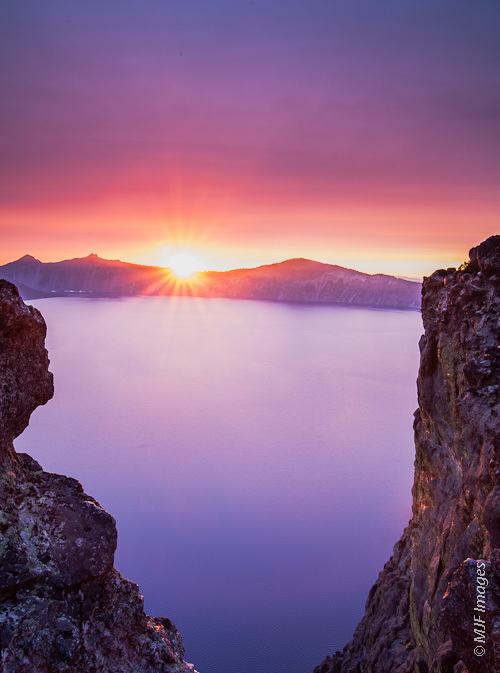 A view of Crater Lake in late dusk. I camped nearby, right on the rim with a gorgeous view of the lake. A couple nights later, I was back at it. I found a blue-hour shot at Phantom Ship overlook (above), and then after munching on dinner as the stars came out traveled around the lake to nearby my secret campsite. I found a lone whitebark pine snag overlooking the lake. It was perched on a cliff. In the darkness, moving around the dead tree to get the perfect composition, I looked where I was walking just in time to gape into the maw of black infinity. Two more steps and I would have been gone just like that, nobody to hear me scream. So I contented myself with a straight-on view, and even tried light-painting for the first time (image below). Light painting, for those who haven’t been devouring their photo articles lately, is the practice of shining a flashlight (torch for the Brits) on a subject during a long exposure at night. Obviously the subject has to be pretty close, and you can use a red light (or any color if you go get colored wraps at a party store). I used the red setting on my headlamp here. Note that if you’re very close to your subject, your camera’s red LED light, if it has one, and/or the light on your timer remote, can serve to paint in a subtle way, even if you don’t want to. Solution? Electrical tape. A lone whitebark pine snag basks under the stars at Crater Lake, Oregon. All in all a good first outing with the tracking mount. I am naturally a night owl, so this night photography suits me. 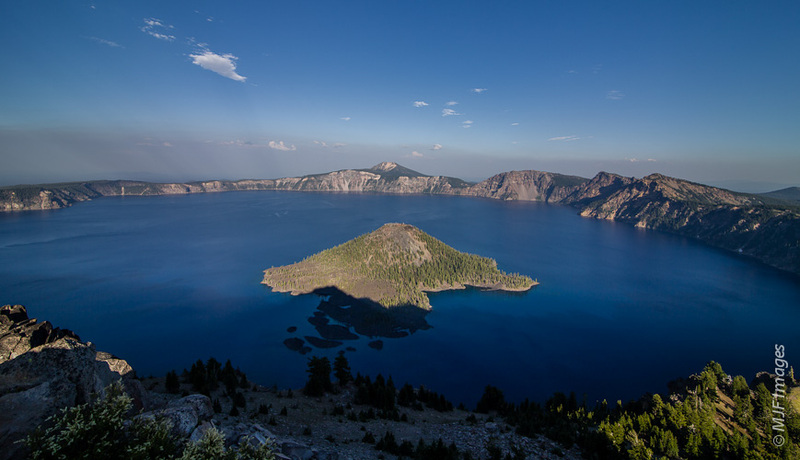 I really prefer starscapes to the trails of stars that some like to shoot (that’s why I got the tracking mount), and Crater Lake has the potential to provide really spectacular pictures. The air was not as clear as I wanted for this trip, there being fires not too far from the park. And too, the Milky Way is positioned at its highest point in the sky at around midnight at this time of year. So I hope to return to Crater Lake sometime in autumn when the nights are crisp, the air crackling clear, and the Milky Way low enough to include all of it plus the lake in one sweeping shot. I can’t wait! Meantime I want to go up to Mt Rainier to try some more night photography, this time with glaciers and that humongous mountain to set off the starry sky. 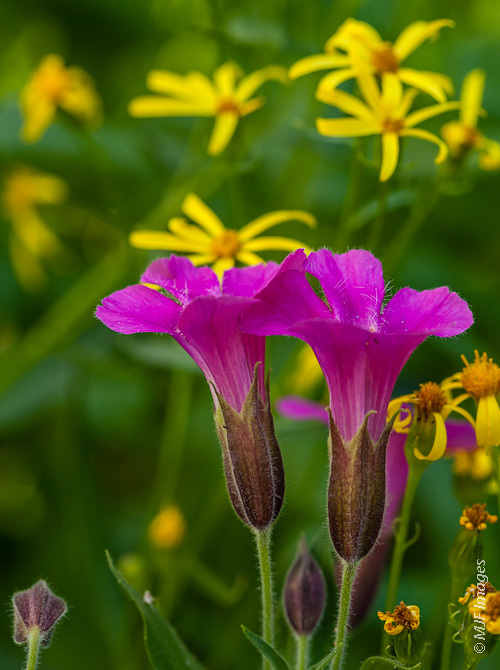 Plus the flowers in the alpine meadows are peaking right now. That will likely be the subject of my next post, in a few days when I return. Until then, keep exploring!